The Foodie Pro – Featured Post Widget is one of the most powerful features in Foodie Pro. Foodie Pro has a special grid layout feature and I haven’t seen this in any other Genesis theme. 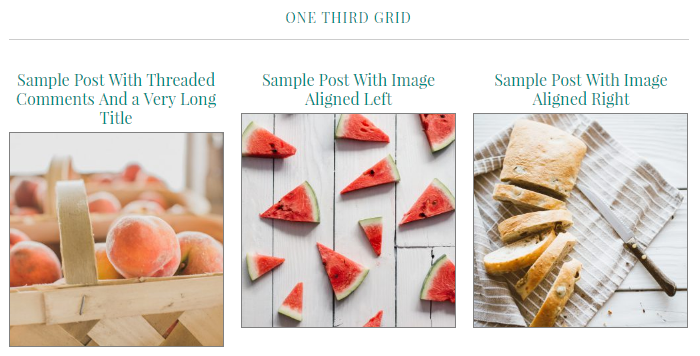 You can use these grids in the widget areas on the front page and the recipe page of your website. This is an improved version of the Genesis Featured Post Widget. If you’re not sure how that works, watch this video tutorial. 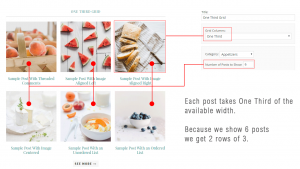 If you have used The Genesis Framework before you will probably know about the Genesis Featured Post widget. This lets you display posts in widget areas. But! 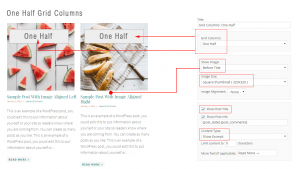 The Foodie Pro – Featured Posts widget offers two special features that the Genesis Featured Post widget does not. 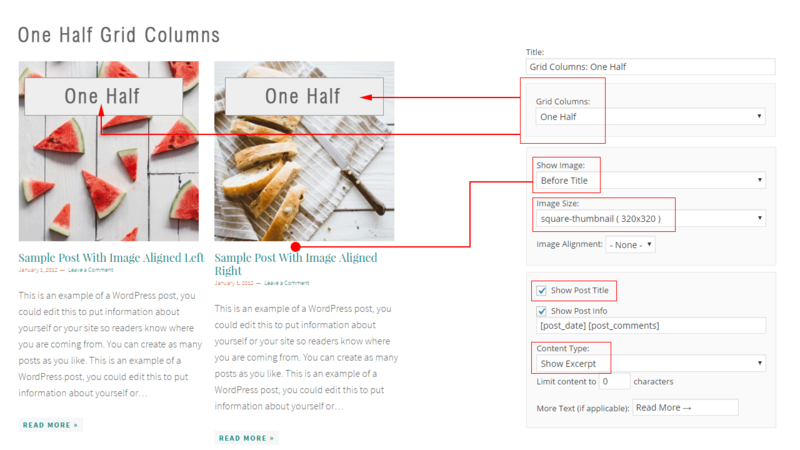 You can choose from five grid column layouts. 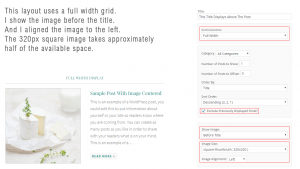 You can display the image before the post title in your grid layouts. 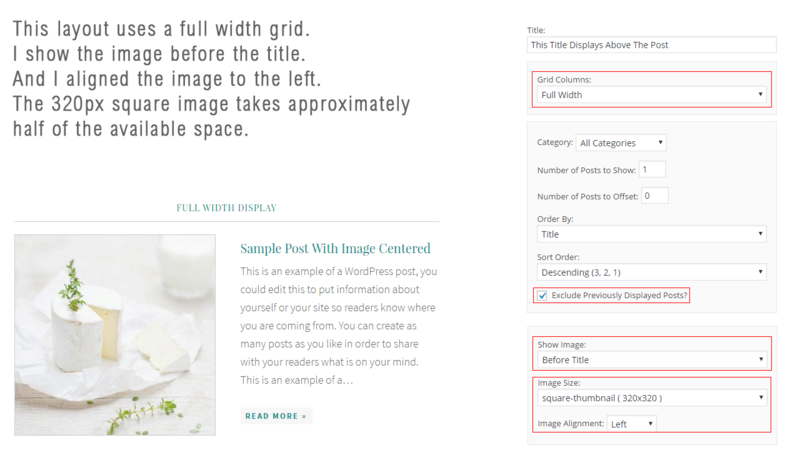 It’s easy to understand that making your own grid layouts is a useful feature. Why put the image before the post title? Because post titles can take up one, two or even three lines. 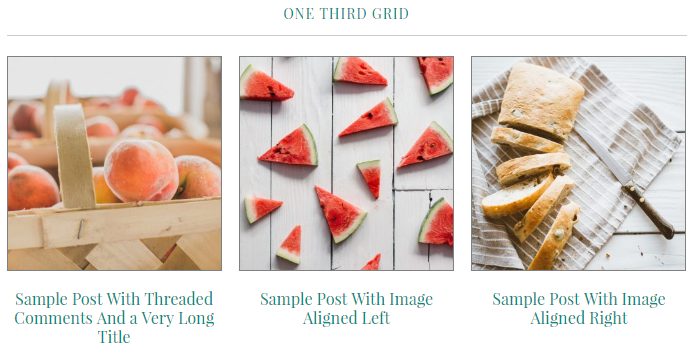 So if you make grid layouts with the post title above a featured image, your images don’t line up. This is a small point but it really does make your site look much cleaner and much more professional. 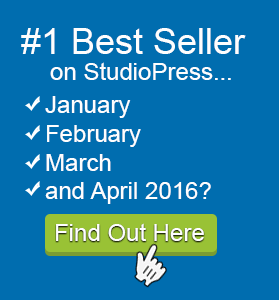 Few StudioPress themes can do this. But Foodie Pro can! You can put the image before the title. This makes your layouts line up better if posts titles wrap to a second line. 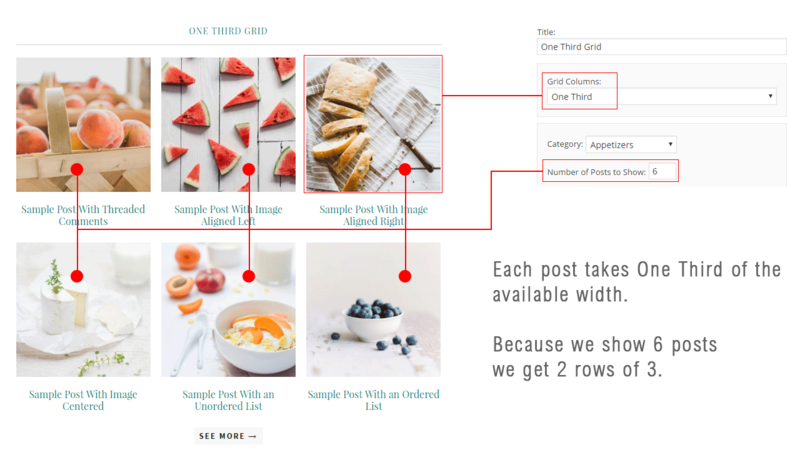 If you use a One Third grid and six posts, you get two rows of three. Full width 320×320 thumb left and title and excerpt right uses fairly equal amounts of space. If you use small thumbs, don’t use title or content. But do use a widget title that will display above the box, and include a category archive link. Exclude previously displayed thumbs. This prevents the same post being listed twice. Use Read More tag. 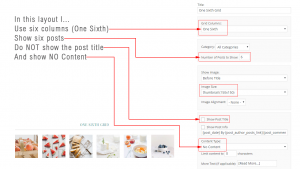 This lets you use a widget area to display a complete post including images and links etc. But at the point you add the read more tag, the post will be cut off. 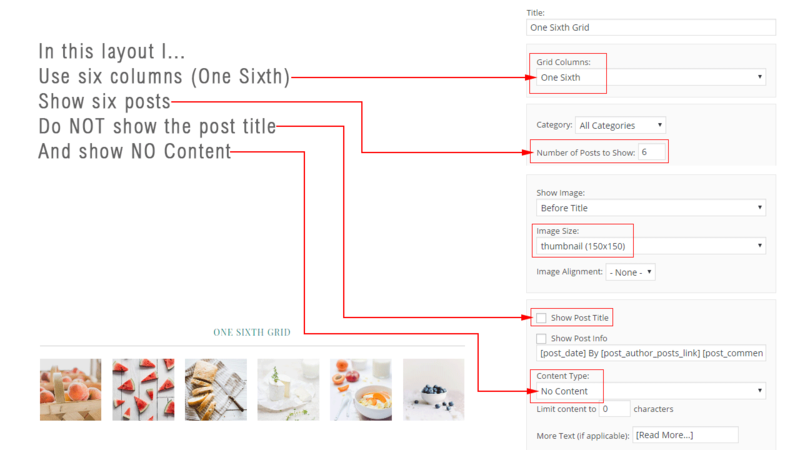 So you display the full post up to the read more tag. Color of the read more tag. Read more tags from individual posts take their color from the link color which is set in the customizer. Read more tags from category archive links can not be changed using point and click. I made a code snippet do this. The Foodie Pro Recipe page can be set to full width. But if you try use the recipe page as the front page you see strange things happen.